Hi, my name is Gretta. I have instructed lots of students for more than 10 years in several language schools. When I worked there, I met a variety of age groups from kindergarten to middle school students. I really enjoyed teaching children and had lots of pleasant memories with them. I also took a TESOL certificate course to acquire the background knowledge in the English Education field and the practical teaching strategies. I think that students have to be motivated to study English spontaneously for their own future dreams because learning English is a long journey of all their life in the era of globalization. Students can have wonderful chances here at Nowon English Village to learn and practice their English enthusiastically. I’ll try my best to be a faithful guide for them. 안녕하세요, 저는 Gretta입니다. 10년 이상 여러 학원에서 유치원생에서부터 중학생까지 많은 학생들을 지도해왔습니다. 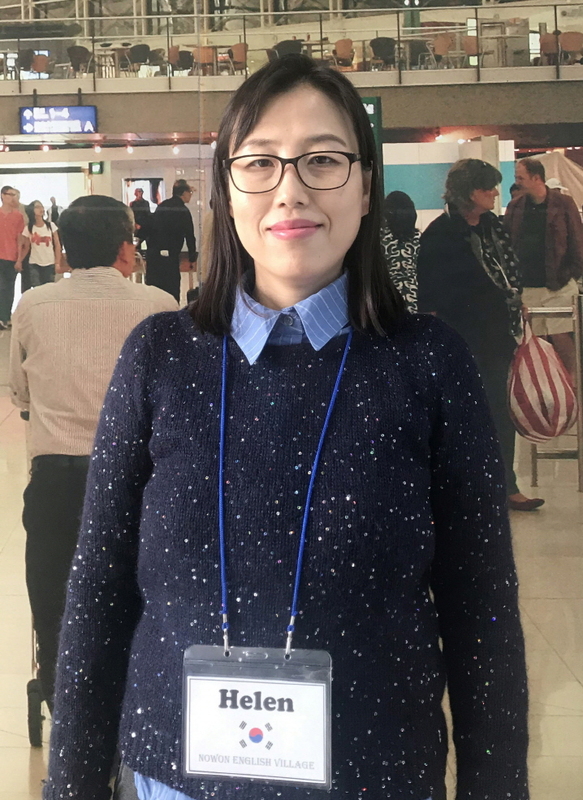 아이들을 가르치는 것을 너무 좋아했고, 즐거운 추억들도 많아서 영어교육에 대한 배경지식과 실질적인 교수전략들을 공부하기 위해 TESOL과정을 이수하였습니다. 아이들은 미래의 꿈을 위해서 자발적으로 영어를 공부할 수 있도록 동기부여가 되어야 한다고 생각합니다. 요즘 같은 국제화 시대에 영어공부는 아이들 인생에서 긴 여정이기 때문입니다. 이곳 노원영어마을에서 영어를 즐겁게 배우고 연습할 수 있는 놀라운 기회들을 만나보세요. 아이들의 충실한 안내자가 되기 위해 최선을 다해 노력하겠습니다. Hello! My name is Bianca Choi. It's a great pleasure to have this chance to teach at Nowon English Village. For as long as I can remember, my dream was to become a teacher. When I was young, my whole family had an opportunity to live abroad. At that time I didn't know how to speak in English, so I couldn't understand regular classes like native American kids. So I had to take ESL classes instead. In that place, I met a wonderful ESL teacher. Learning from her was a great joy. She made me think English was really fun and easy! I came back to Korea 1year and 6months later, but I've never forgotten how easy she made it for me to learn and even like English. With this as a momentum, I majored in education at university. After graduation, I took a University of California Riverside TESOL course. Some people think English is difficult to learn and boring. Whenever I hear this, it makes me so sad. English can be fun, and it should be fun! I am trying my best to make the learning process more learner-friendly and make the students think on their own. In my opinion, using language related games and competitions boost up the confidence of students trying to learn English. I'm sure we are going to have the best time in Nowon English Village and I can't wait to see you all! 안녕하세요! 저는 Bianca입니다. 노원영어마을에서 가르칠 수 있게 되어 매우 기쁘게 생각합니다. 저는 어렸을 적부터 선생님이 되는 것이 꿈이었습니다. 제가 어렸을 때 가족 모두가 이민을 가게 되었는데, 그때 저는 영어를 전혀 할 줄 몰랐습니다. 그래서 미국 원어민 아이들처럼 학교 정규 수업을 따라 갈 수가 없어서 대신에 교내 ESL(English as a Second Language) 수업을 들었어야 했습니다. ESL 클래스는 외국인 학생을 위한 특별교실로, 영어를 제2의 모국어처럼 가르치는 수업으로 다양한 수업방법을 통해 쉽고 재미있게 영어를 배울 수 있게끔 배려한 수업입니다. 그 교실에서 저는 너무나 좋은 선생님을 만났고 그 선생님 덕분에 영어공부가 재미있고 신난다는 것을 알게 되었습니다. 1년 6개월 뒤에 저는 한국으로 돌아오게 되었지만 저는 그 선생님을 지금도 잊지 못합니다. 그때 그 경험을 계기로 저는 외국어고등학교를 졸업하여 사범대학에 들어가게 되었으며 교육전공으로 교사자격증도 받게 되었습니다. 대학 졸업 후에는 University of California Riverside의 TESOL 과정을 수료하며 영어 선생님의 길을 걸어오고 있습니다. 몇몇 사람들은 영어는 배우기도 어렵고 지루하다고 말을 하기도 합니다. 저는 가끔 이런 이야기를 들을 때 마다 너무 슬픕니다. 영어공부는 재미있고 신나게 할 수 있고, 또 그래야만 한다고 생각합니다. 저는 학생들이 재미나고 신나게 영어공부를 할 수 있도록 최선을 다 할 것이며, 스스로 생각하고 발전할 수 있게끔 도움을 주고 싶습니다. 노원영어마을에는 다양한 방법으로 선의의 경쟁을 하며 자신감을 키울 수 있게끔 개발 된 프로그램이 많이 있습니다. 여러분들도 이 곳에 오셔서 재미있는 경험을 많이 하시기 바랍니다. Hello! My name is Katie and I'm so pleased to be a part of Nowon English Village. 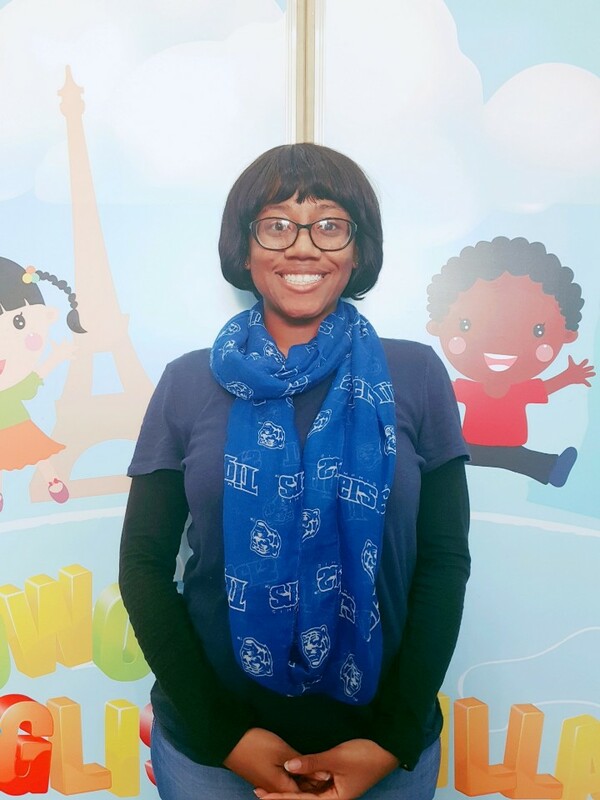 I'm a friendly and patient person and I love being with children so I decided to become a qualified English teacher for young learners. I took the T.Y.C program (teaching young children) in Canada and the TESOL certificate course in Sungkyunkwan University. Since then, I've been working for three years at an English Kindergarten. I love teaching English to young learners; it’s an excellent fit for me! It is my pleasure to teach children through interactive learning while providing them with the life experiences they need in English. It’s also my intention to create a positive, fun and caring atmosphere for children; where they are encouraged to study and join the class in fun activities. I'll try my best to teach children with love! I look forward to having a wonderful time at Nowon English Village. Thank you! 안녕하세요. 저는 Katie입니다. 우선 노원 영어 마을에서 일하게 되어 기쁘게 생각합니다. 저는 다정다감하고 인내심 있는 성격으로 아이들과 잘 어울리고 아이들을 좋아하여 어린이 영어선생님이 되었습니다. 이를 위해, 캐나다 어학연수 동안 T.Y.C를 수료하였고 성균관대학교에서 TESOL를 수료하였습니다. 그런 뒤, 영어 유치원에서 3년 동안 아이들을 지도하였습니다. 아이들을 지도하면서 즐겁게 일하며, 저에게 잘 맞는 일이라고 느끼게 되었습니다. 저는 아이들과 소통하며 생활경험들을 통해 영어를 지도하는 것이 좋다고 생각합니다. 그러기 위해서 긍정적이고 재미있고 따뜻한 수업 분위기를 만들어주며, 아이들이 재미있는 활동들을 통하여 영어를 배울 수 있도록 노력하겠습니다. 노원 영어마을에서 사랑으로 아이들을 지도하며 보내게 될 시간들이 기대 됩니다. 감사합니다. Hello, my name is Helen Jung. I graduated from university with a degree both in English Language and Literature and in teaching English. I started to work as a storyteller and then I found out that teaching English can be thrilling. As a result, I have been lucky enough to be able to teach English for a long time. When I was in middle school, I met my first English teacher and decided to become an English teacher for my lifelong career. She had taught me English through interesting and understandable ways. She had motivated me to learn English as much as I could. In the same way, I love to help a lot of students learn English in the most wonderful way. It’s a pleasure for me to be able to teach English to a lot of great children here in Nowon English Village. I think that children are one of the best and the most valuable people in the world. I hope that every single child in Nowon English Village can have great opportunities and experiences by learning English in happy and lovely atmospheres. I am looking forward to teaching your children with love and empathy. 안녕하세요, 저는 Helen입니다. 대학교에서 영어영문학과 영어 교수를 공부했고, 동화구연가로 일을 시작했습니다. 그 때 영어를 가르치는 일이 매우 신나는 일이라는 것을 깨달았고, 오랫동안 영어를 가르치게 되었습니다. 중학교때 만난 최초의 영어선생님을 통해 평생 직업으로 영어를 가르치고 싶다고 생각하게 되었습니다. 그 선생님은 영어를 가장 흥미로우면서도 가장 이해할 수 있는 방식으로 영어를 지도해 주셨습니다. 저도 수많은 학생들이 즐겁게 영어를 공부하도록 돕고 싶습니다. 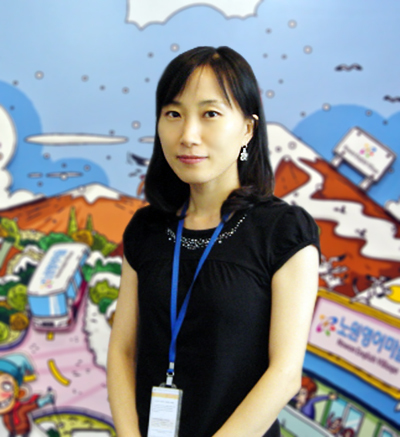 노원영어마을에서 많은 어린이들에게 영어를 가르칠 수 있게 된 것이 저에게는 매우 큰 기쁨입니다. 어린이야말로 가장 뛰어나고 가치 있는 존재라고 생각합니다. 노원 영어 마을의 어린이 모두가 행복하고 사랑스러운 분위기 속에서 영어를 배우는 기회와 경험을 갖기를 바랍니다. 앞으로 사랑과 공감으로 어린이들을 가르치기를 늘 꿈꾸겠습니다. Hello, my name is Candice Wang. I’m twenty-eight years old and I’m from China. I came to Korea in 2013 and took the Korean language courses in Yonsei University for a year. After that I spent two years studied international trade and international relations in the graduate school of Sogang University. I enjoy watching movies and dramas which really helped me a lot with my language study. I realized language study can be much easier and fun when you learn with interest. I would love to help my students to find their interests and talents about English study, and inspire them to be more motivated while enjoy themselves. I am so excited to meet all of you in Nowon English Village and hope you will enjoy your study here. 안녕하세요. 저는 중국에서 온 Candice라고 합니다. 2013년에 한국에 와서 연세대학교어학당에서 1년동안 한국어를 공부하였고, 서강대 국제학대학원에서 국제통상과 국제관계를 전공했습니다. 이제 노원영어마을에서 새로운 학생들을 만난다는 것이 아주 기대가 됩니다. 저는 평소에 영화감상하고 드라마 보기를 좋아합니다. 덕분에 외국 영화를 보면서 외국어 실력도 많이 늘었습니다. 영어 공부는 즐거움을 가지고 배우면 더 쉽고 효과적이라고 생각합니다. 그래서 학생들이 영어를 연습하면서 언어에 대한 취미와 재능을 발견하며 능동적으로 공부할 수 있도록 최선을 다 해서 노력하겠습니다! Hello, my name is Robert Thomas and I am originally from a city called Swansea which is a city in Wales. I have actually taught for one year in Seoul in another hagwon already. 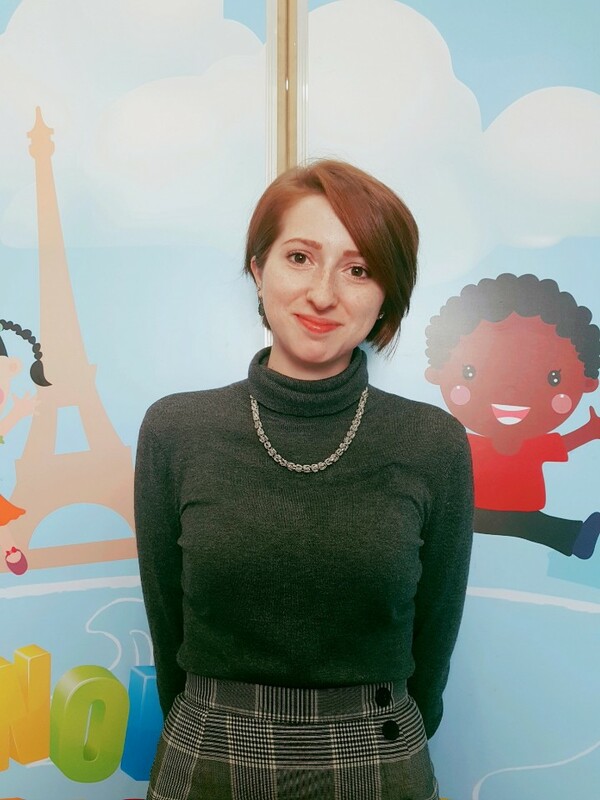 I am really excited to accept the new challenges here at NEV and I can already see that it is a professional and fun learning environment for children to learn English in. I personally enjoy teaching a range of ages from kindergarten up to adults and I find that it really rewarding when I can see students develop their language skills! I actually have taken an interest in learning Korean myself and as a result I can see things from the students’ point of view and can appreciate how hard they must be working to learn. I am also interested in martial arts and I currently practice Tang Soo Do with a Korean master here in Seoul. I am sure I will enjoy my time here and I hope that my students will do really well! 안녕하세요, 영국 웨일즈에서 온 Robert입니다. 저는 서울에있는 학원에서 영어를 가르친 경험을 가지고 있습니다. 이곳 영어마을에서 새로운 도전을 시작하면서 아이들이 즐겁게 영어를 공부할 수 있는 환경이 조성되어 있음을 확인할 수 있었고, 유치원생부터 성인까지 폭넓게 영어를 가르치고 있습니다. 저는 한국어를 배우는 것에도 관심이 있으며, 그 과정을 통해 아이들이 얼마나 열심히 공부하고 있는지를 좀더 이해할 수 있으리라 생각합니다. 저는 또한 한국 무술에도 관심을 가지고 연습하고 있습니다. 이곳에서 아이들과 함께 즐거운 시간을 가지기를 바랍니다. Hi, my name is Sokoya Cooper and I am from Memphis, Tennessee, USA. My hobbies include reading, listening to music, and playing my violin. I have a bachelor’s degree in philosophy and a TEFL certification. I love learning and I’m passionate about teaching others as well. I have taught violin for five years while in high school and university. I have also taught conversational and academic English for 1 year. I can empathize with your children as I was also a language learner; I studied German in university for two years. 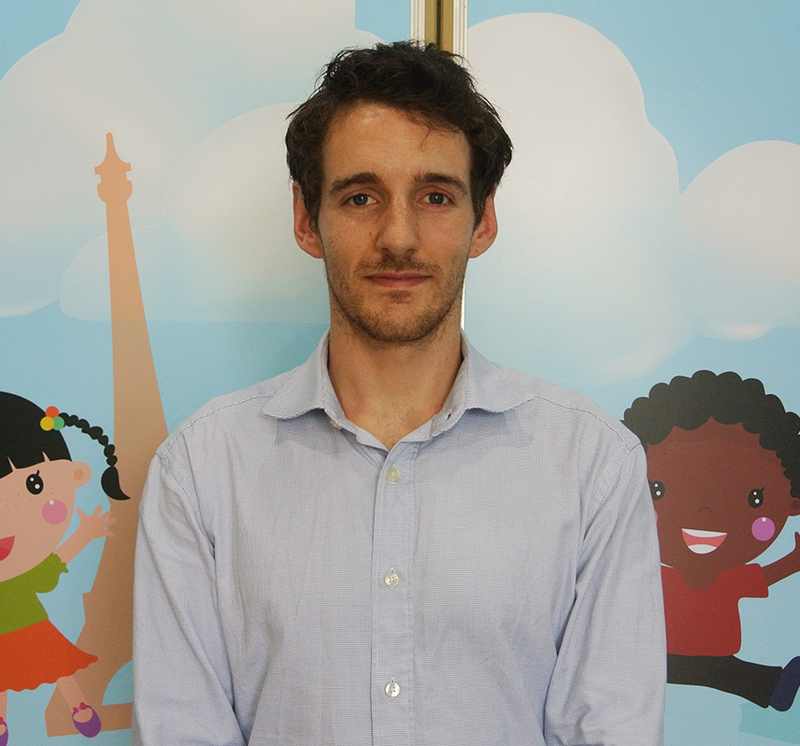 I’m excited to be teaching here in South Korea and I’m really looking forward to teaching your children useful and practical English in a fun and engaging atmosphere here at Nowon English Village! 안녕하세요, 저는 미국 테네시주 멤피스에서 온 소코야라고 합니다. 독서와 음악감상, 바이올린 연주가 저의 취미이며, 대학에서는 철학을 전공했고, TEFL자격증도 취득하였습니다. 배우는 것을 즐겨하고 가르치는 일에도 열정을 가지고 있어서, 고등학교와 대학에서 5년동안 바이올린을 가르쳤고, 1년동안 영어 또한 가르쳤습니다. 저 또한 대학에서 2년동안 독일어를 공부했기 때문에 외국어를 배우는 아이들을 더욱 공감할수 있으리라 생각합니다. 이곳 노원영어마을의 매력적인 학습분위기에서 유용하고 실용적인 영어를 가르치는 일에 큰 기대를 가지고 있습니다. Hello, my name is Mika Ervin and I am from Wyandotte, Oklahoma, USA. I graduated from university with a degree in International Studies. I also have a TEFL certificate. My hobbies are cooking, art, reading, and playing flute. While in university, I was given many opportunities to teach English. When I was in the USA, I would tutor conversational English to international students studying abroad and I was a conversation partner. When I studied abroad in Morocco, I was also able to have volunteer teaching opportunities in small rural villages. I am very excited about teaching in Korea. When learning a second language, a student should always enjoy the experience. 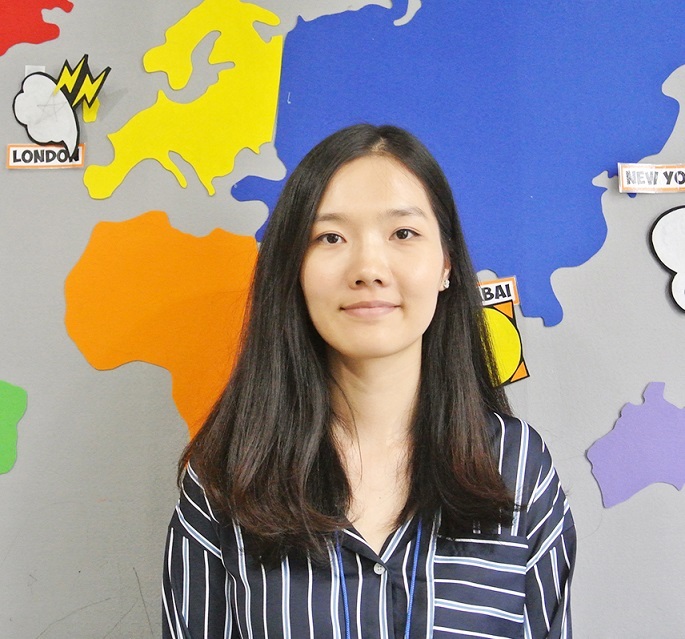 I am excited to be able to teach your children here at Nowon English Village because this school can give them a great experience in learning English as well as a multicultural experience. I look forward to meeting and teaching your children! 안녕하세요. 저는 미국 오클라호마에서 온 Mika입니다. 대학에서 국제학을 전공하고 TEFL과정도 이수하였습니다. 저는 요리, 예술, 독서, 플룻연주를 좋아해요. 대학에 다니는 동안 외국에서 유학 온 학생들에게 영어회화를 가르칠 기회가 있었고, 모로코에서 공부할 때는 작은 소도시에서 영어를 가르치는 봉사활동도 하였습니다. 이제 한국에서 영어를 가르치게 되어 정말 즐겁습니다. 특별히 노원영어마을에서 아이들은 영어뿐만 아니라 여러문화를 경험할 수 있습니다. 이곳에서 많은 아이들을 만나기를 기대하고 있습니다. Hello! 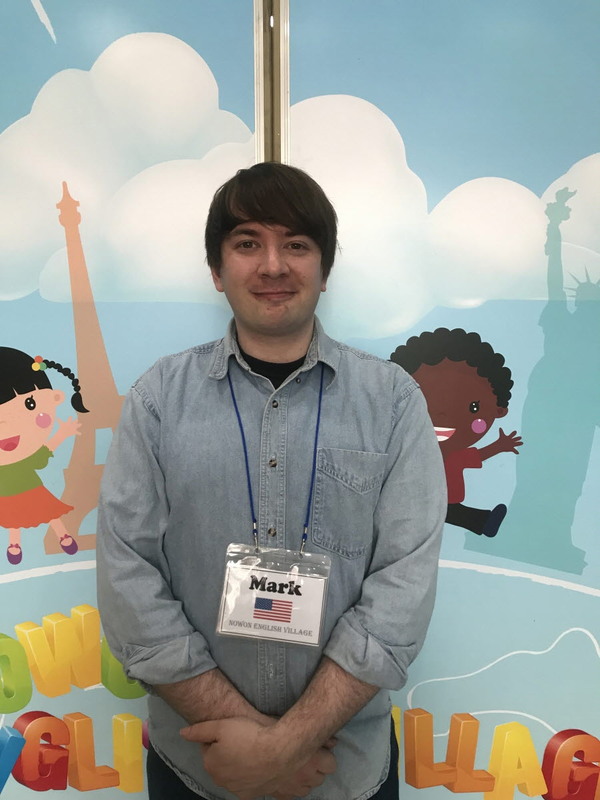 My name is Mark Anderson and I have lived in Korea for the past 8 years and have found teaching to be enjoyable and rewarding. I like children and have a fairly easy time getting along with them. I also had the opportunity to teach in public school in Korea before. It was a wonderful experience. 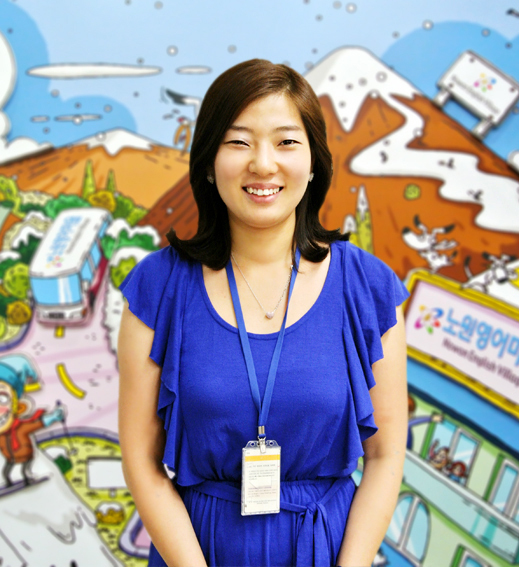 I originally wanted to teach in Korea to travel and gain experience. I took a course to get my TESOL/TEFL certification and found teaching English to be interesting and straightforward. The more I worked as a teacher, the more I realized that I liked and was good at teaching. I believe that it’s important that a teacher be patient. They are many types of students and each one is unique. While it's impossible to tailor a lesson to each of the children in class, a teacher needs to be willing to help students through their work and clarify anything that is misunderstood. I will always do my best to help my students learn and achieve in class. My time spent learning to be a teacher has helped me to understand children better and communicate with them. I’ve also learned that the most important thing for a child is a feeling of security and safety. I try my best to be a teacher they feel safe around and that I am someone who they can rely on for help and compassion. 안녕하세요, 저는 미국에서 온 Mark입니다. 8년동안 한국에서 영어를 가르치면서 가르치는 일이 즐겁고 보람있는 일임을 깨달았습니다. 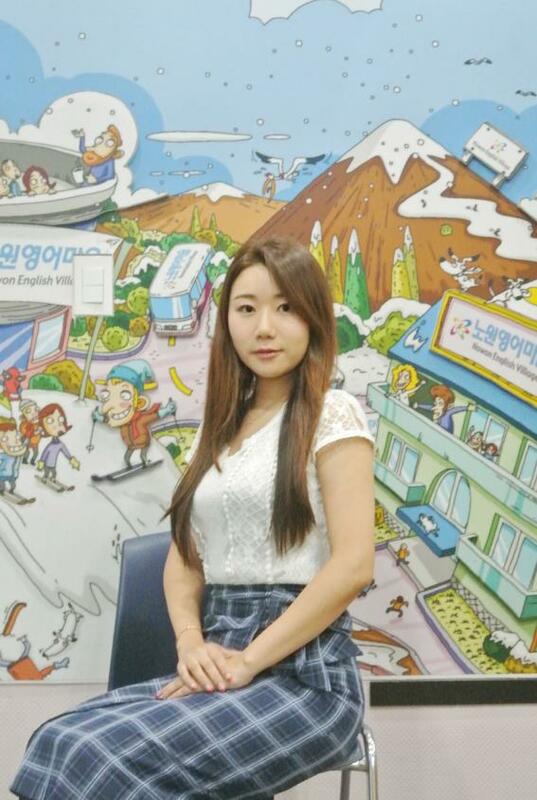 초등학교에서도 아이들을 가르치며 멋진 경험을 하였고, TESOL/TEFL과정을 이수하면서 즐겁게 아이들을 가르치는 방법을 공부하였습니다. 교사로 일하면서 제가 아이들을 가르치는 것을 좋아하고 잘할수 있는 일이라는 것을 깨닫게 됩니다. 아이들을 가르칠때 중요한 것은 인내심이라고 생각합니다. 모든 아이들은 나름의 스타일을 가지고 있기에 여러 활동들을 통해 이해하지 못한 부분들을 분명하게 이해할수 있도록 항상 최선을 다하려고 합니다. 아이들을 가르치면서 아이들을 더 잘 이해하고 대화하는 법을 배워가고 있습니다. 아이들이 편안하고 안전하다고 느낄수 있는 훌륭한 교사가 되기위해 노력하겠습니다.